Integrated into a single volume and organized to mirror the student text, the Cuaderno (Workbook) consists of workbook activities directly tied to material in the text. The organization of the Cuaderno materials for each chapter parallels that of the main text, facilitating assignment of homework corresponding to specific sections of the text. 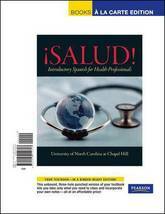 Interactive Video on DVD for !Salud! The Interactive Video on DVD or in MySpanishLab (TM) features the Historia (the story), with all the preliminary sections, follow-up exercises, and self-tests. Each chapter in the DVD contains the same structure: Preparacion, Historia, and Aplicacion. The exercises in the Preparacion section, which include pronunciation, vocabulary, and grammar activities, prepare you to watch that chapter's episode of the Historia. Components of the Aplicacion section include cultural videos and readings, listening comprehension activities, in-depth grammar exercises, and computer games and require you to apply what you have learned in each chapter. The DVD contains hundreds of hours of activities and were designed for a variety of language learners (visual, auditory, kinesthetic, and experiential). Do those that most help you to communicate better in Spanish. 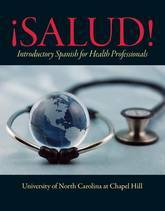 A complete introductory Spanish course for Healthcare Professionals, Salud! 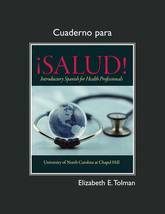 is built around an interactive Video program, allowing you to experience realistic conversation in Spanish in a medical setting. The video is supported by a wealth of explanations, activities, and practice.